Would you make a good camera operator? Take our career test to find out how you match with this and over 800 other careers. What is a Camera Operator? What is the workplace of a Camera Operator like? A camera operator is someone who records images that entertain or inform an audience. Camera operators capture a wide range of material for TV shows, motion pictures, music videos, documentaries, and news and sporting events. Most work in the motion picture industry or television broadcasting. Many camera operators have one or more assistants working under their supervision. The assistants set up the camera equipment and may be responsible for storing it and caring for it. They also help the operator determine the best shooting angle and make sure that the camera stays in focus. The increased use of digital filming has changed the work of many camera operators. Many prefer using digital cameras because these instruments give them more angles to shoot from. Digital cameras have also changed the job of some camera assistants: instead of loading film or choosing lenses, they download digital images or choose a type of software program to use with the camera. - work in a broadcast studio and videotape their subjects from a fixed position. There may be one or several cameras in use at a time. Operators normally follow directions that give the order of the shots. They often have time to practice camera movements before shooting begins. If they are shooting a live event, they must be able to make adjustments at a moment’s notice and follow the instructions of the show’s director. - work on location as part of a reporting team. ENG operators follow events as they unfold and often record live events or breaking news. To capture these events, operators must anticipate the action and act quickly to shoot it. They sometimes edit their own footage in the field and then send it back to a studio to be broadcast. - film motion pictures. They usually have a team of camera operators and assistants working under them. They determine the best angles and types of cameras to capture a shot. They may use stationary cameras that shoot whatever passes in front of them or a camera mounted on a track that moves around the action. Some operators sit on cranes and follow the action. Others carry the camera on their shoulder while they move around the action. Some cinematographers specialize in filming cartoons or special effects. 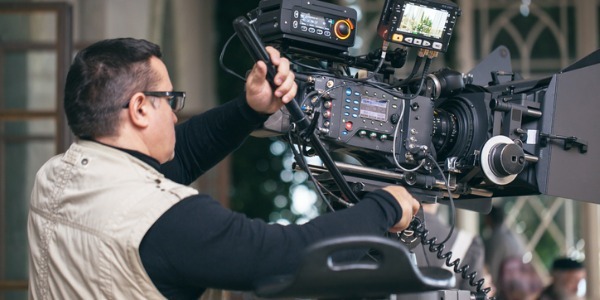 Are you suited to be a camera operator? Camera operators have distinct personalities. They tend to be artistic individuals, which means they’re creative, intuitive, sensitive, articulate, and expressive. They are unstructured, original, nonconforming, and innovative. Some of them are also realistic, meaning they’re independent, stable, persistent, genuine, practical, and thrifty. Does this sound like you? Take our free career test to find out if becoming a camera operator is right for you. Electronic news gathering operators usually travel locally and may have to stay overnight to cover a major event. Cinematographers and camera operators who film movies or TV shows may film on location and be away from home for months at a time. Some camera operators work in uncomfortable or even dangerous conditions, such as severe weather, military conflicts, and natural disasters. They may have to stand for long periods waiting for an event to take place. They may carry heavy equipment. Work hours vary with the type of camera operator, though most work full time. Those who work in broadcasting may have to work long hours to meet a deadline. 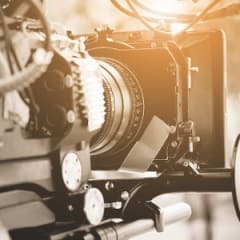 Those who work in the motion picture industry may have long, irregular hours while filming but go through a period of unemployment after their work on the film is complete and before they are hired for their next job.